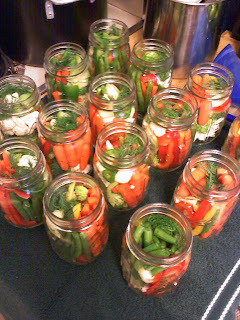 On Saturday I canned pickled vegetables. 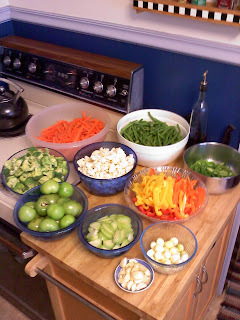 The first picture is the vegetables, cut up and ready to be packed into the jars. 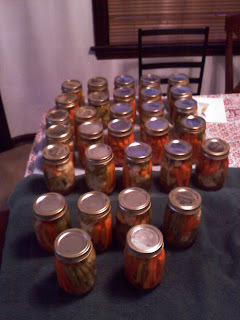 The second picture is some of the packed jars, ready to be filled with brine. The last picture is the finished jars. Unfortunately, I now need to wait 6 weeks to eat them.